Ever watched an MMA match and wanted to be able to defend yourself and fight like one of the pros? Raffles Jujitsu is an external activity that offers an opportunity for you to do so in a safe environment. You may have heard of Karate, Judo and Aikido but perhaps not Jujitsu. Jujitsu was the martial art of the Samurai in ancient Japan. Taught in a modern context, Jujitsu is both a grappling and striking martial art, comprising a wide variety of techniques that include punching, kicking, throwing, takedowns, joint locks, chokes and use of small weapons. While this may sound dangerous and risky, be assured that it is safe as you will be under supervision of trained professionals! It’s like a safer version of MMA training. Not only will you learn skills, you will also get fit and have lots of fun! While Jujitsu is not a school CCA, there is an active group of Rafflesians practicing the art, making it a comfortable environment to learn. 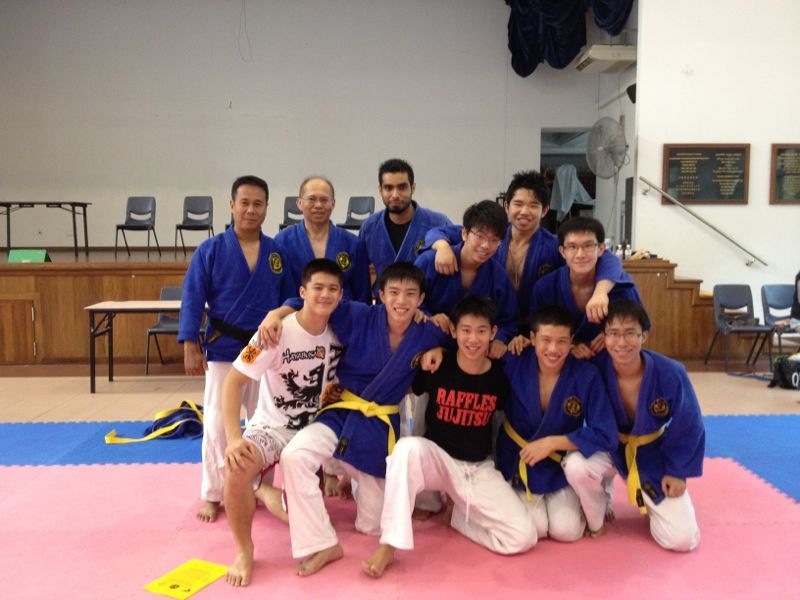 You will also get recognition from MOE as well as the Jujitsu Association of Singapore. 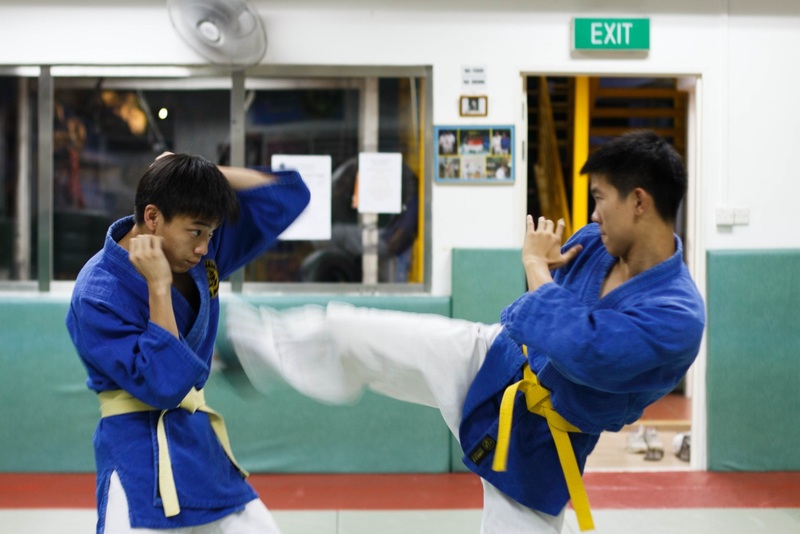 Our trainings are held weekly at Tanglin CC, which can be reached by taking a direct bus from school. There are also 3 public classes held on Monday, Wednesday and Friday at night which you will be more than welcome to attend. Trainings include conditioning, drills as well as learning of new striking, throwing, and grappling techniques. Go beyond compulsory CCAs and try something new and exciting! It will be an enjoyable and fulfilling experience. hi may i know if jiujitsu is only for guys or is it open to girls as well? thanks! Girls are very welcome! Though it would be good if you could find a friend to be your regular training partner if you are on the light side. If you don’t find anyone, it’s fine too, just that you would probably need to work harder training with a heavier guy, though that might not necessarily be a bad thing, or may even be desirable if you like the challenge! Learning mixed martial arts and Jiu-Jitsu is great for not only learning self-defense, but building confidence and leadership skills necessary to be successful in life.